I’ve always love patriotic stories and music. I have many ancestors who served in the armed forces. That’s why I’ve written several blog posts about teaching Patriotic music and how it can touch hearts. And why I created a Patriotic Music Class Freebie. My great, great grandfather served in the Union Army in the Civil Way, my grandfather served in WWI and my father served in the Army during peace time. My service has mainly been my school teaching, church, scouts and motherhood experiences. I’ve never had to pack all my things up in 1 bag and leave my loved ones and go away for an extended period of time and be subject to a higher authority. So I can’t relate personally to that–but there’s something about that kind of self less service that really get’s the tears going for me. I also have a B.A. in History and have always been touched by the sacrifices made for me and for our country to have the great benefits and opportunities that we have today. And there’s tons of movies with good stories and music about America that you can use in music class. Teach about the United States President’s US Marine Band. Need some patriotic music NOW? Click on the link and you’ll be taken to the Sing Play Create YouTube Channel for a Patriotic Songs Playlist! I use theses songs for Scarf, Beat, and other creative movement activities. 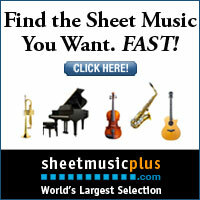 Need an easy to put together patriotic music program? It’s FREE! 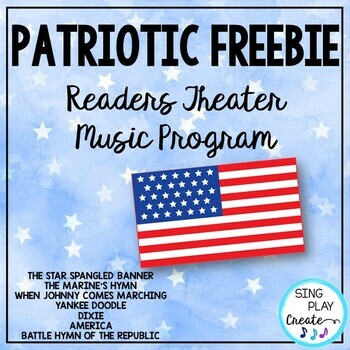 Elementary and Music Teachers love this Patriotic songs, readers theater or music program script for any PATRIOTIC holiday. Easy to use and flexible script choices. Comes with Lyrics for 7 songs (sung to familiar tunes), 2 writing activities and various script options. An essential resource for grades 3-6. Power Point and Pdf files for easy printing and projecting. Please open the READ ME file first for more details upon purchase. or assign more than one part to several students. Script comes 4 different versions. #3 Big Scripts of both versions with and without the flag ceremony. *FLAG CEREMONY-Optional flag ceremony for a Scout Troop. More Sing Play Create Original Patriotic Songs and Activities HERE! Patriotic Music Class Resources: Rhythms, Activities, Scarves and Moves. In honor of the men and women who have died to make this such a great country I hope you’ll download this special FREEBIE in my TpT Store for ALL TEACHERS and make it a tradition to honor our American Heroes. Share this post on Instagram!